Buck and Boar hunting lodge and guide service home pg. Thank you for inquiring about the Buck & Boar. The Buck and Boar is located in beautiful Calhoune county S.C. The property that makes up the Buck and Boar has been managed exclusively for trophy deer / wild boar over the last 30 years. Our commitment to produce the highest quality Whitetail Deer hunting and European Wild Boar hunting possible led to the erection of five miles of game proof fence to enclose the entire property. Herd population, buck to doe ratio, and predators are more controllable. The cost of European strains needed to continue the progress of our trophy boar management can now be justified. Our herds are producing trophy boar and trophy bucks that far exceed our original expectations. You will be hunting animals that are wild, born and bred on their own, within the enclosure. A managed wild herd, not a stocked farm raised animal. Over thirty food plots and year around supplemental feed are offered to supply needed nutrition. Hunts are limited to ensure high success on trophy quality animals. Our hunts can be tailored to meet the needs of an individual or a large group. First time hunters to seasoned vet's, young or old are all welcome. We cater to smaller groups than most outfitters, your needs will be met by our staff and your harvest goals are our number one priority. "I got critters dying to make your day"
The deer herd at the Buck and Boar is producing more quality bucks each year than the year before. Be our guest and hunt the "Old Growth" hard woods that cover the acorn ridges the bucks call home. 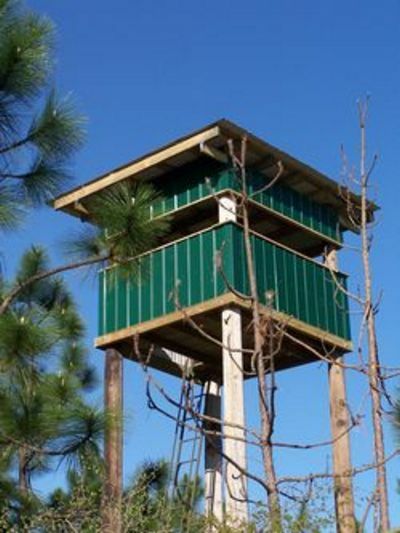 Deer hunting is done from elevated shooting houses and ground blinds. This hunt is not physically demanding and can be tailored to suit most any hunter. Trophy Deer hunts are extremely limited. No more than a dozen were sold for this year. We harvest only the oldest bucks in the herd. If you are looking to harvest a mature, heavy rack buck this hunt is for you. Last year our success rates were 100%. Most bucks we harvest fall in the 130-150 B&C class. We have harvested bucks up to 180". 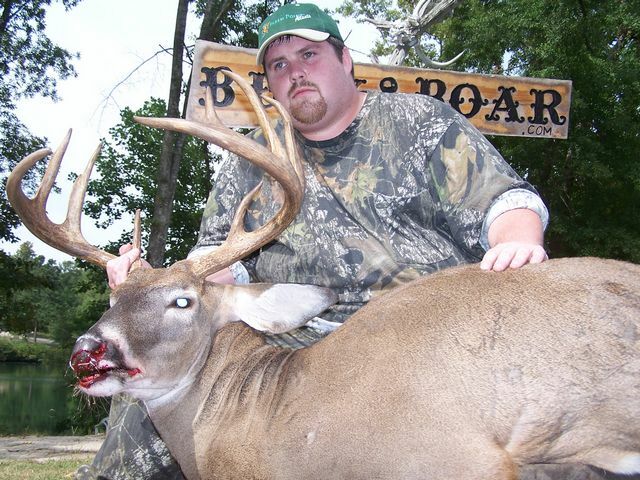 Bucks over 150 inches are rare. I say this because I do not want you to show up with unrealistic harvest expectations. 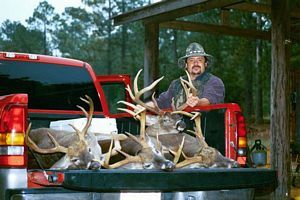 S.C. deer season runs from August, 15th - January, 1st. Deer can be harvested in full velvet the first two weeks of the season. Our rut runs from mid Oct.- mid Nov. The rut is an excellent time to book a hunt. These deer hunts will book up so call early to secure your dates. I have been breeding pure Eurasian swine for over 20 years. The genetic make-up of our herd is a product of all four strains of European boar. Protected breeding stock imported from Europe is the foundation of our breeding program that is setting industry standards. I have the largest herd of pure Eurasian swine in the U.S. We currently hold one world record trophy boar in the W.W.T. record book. We are committed to managing for quality to ensure our guest the opportunity to harvest a fine European trophy boar. 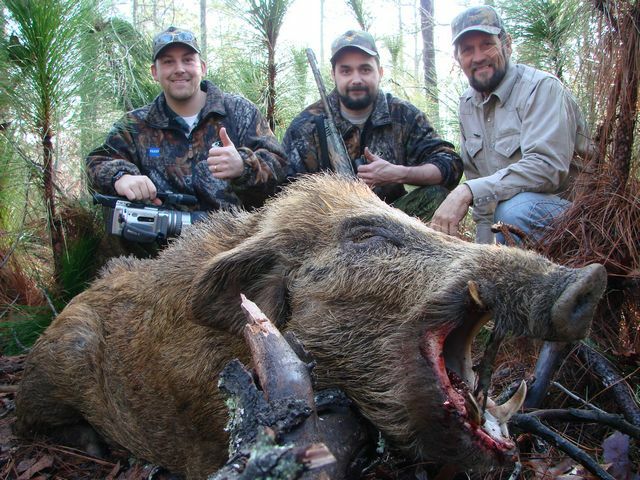 It's wild boar hunting at it's best. houses and ground blinds. We have stands overlooking 30+ food plots, feeders and bait sites. Over a dozen stands are set up with the archery hunter in mind. It is not uncommon to see 25-30 hogs on an evening hunt. 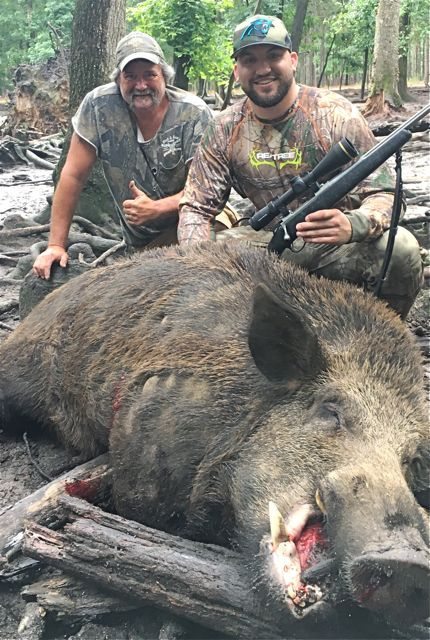 Spot and stalk hunting accounts for the rest of the hogs we harvest. It is more challenging than stand hunting and less productive. Your ability to move silently through the woods will affect your success on this hunt. 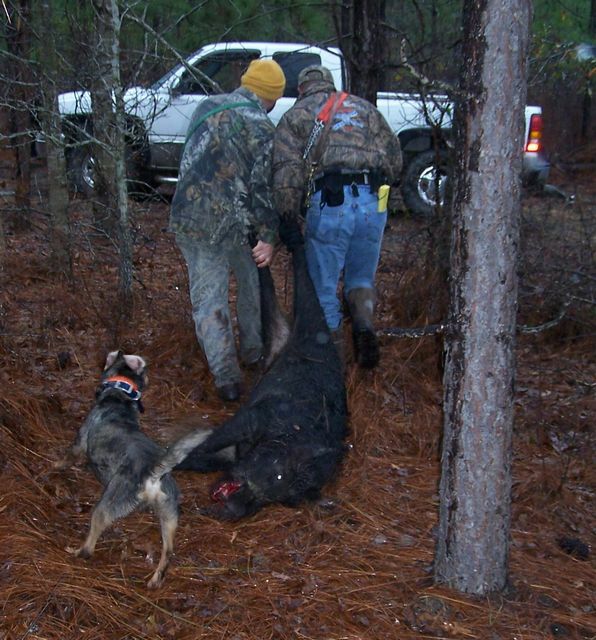 Under the right conditions this can be one of the most exciting ways to hunt a wild boar. 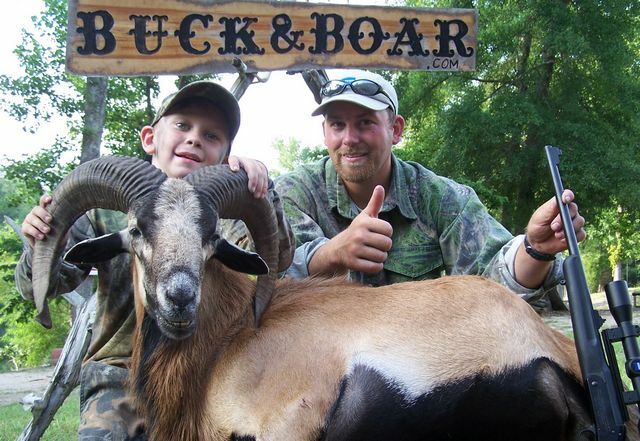 Archery, handgun or rifle, stand hunt or spot-n-stalk, any choice will be an adventure at the Buck and Boar! 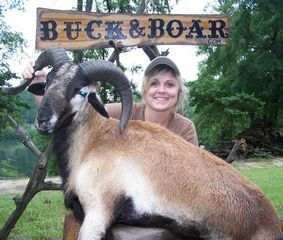 The Buck & Boa r is proud to offer ram hunts. Introduced in stages six years ago, the rams were protected and allowed to rome the entire preserve while maturing into true breeding herd. 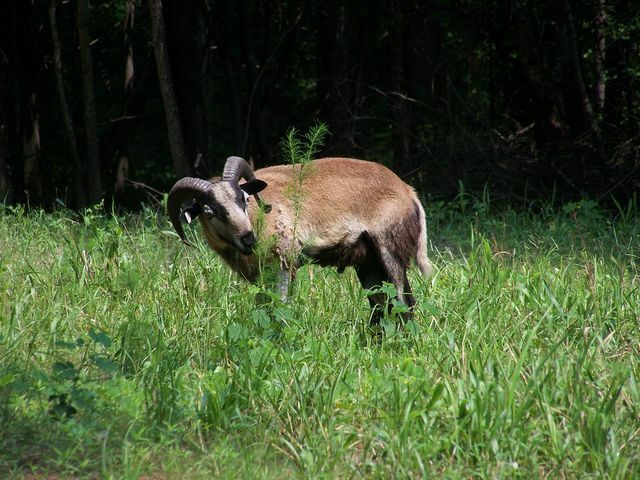 Corsican, Desert Paints, Mouflon, Texas Dall, and Black Hawaiian rams can be found in social groups, grazing food plots or browsing woodlots throughout the property. Rams are pursued on foot and hunted from stands. A trophy ram and a wild hog hunt make a great combo. Ram hunting is productive morning thorough mid-day when hogs tend to lay-up. After a day of ram hunting it will be prime time for a late evening hog hunt. If you're looking for a first class ram hunt then give us a call. We have a ram hunting package for you! When you visit the Buck and Boar you will be hunting property that was planned out for hunting years ago. Fifty miles of roads connect thirty food plots, watering holes and bait sites. All of our stands are high quality and built for comfort. 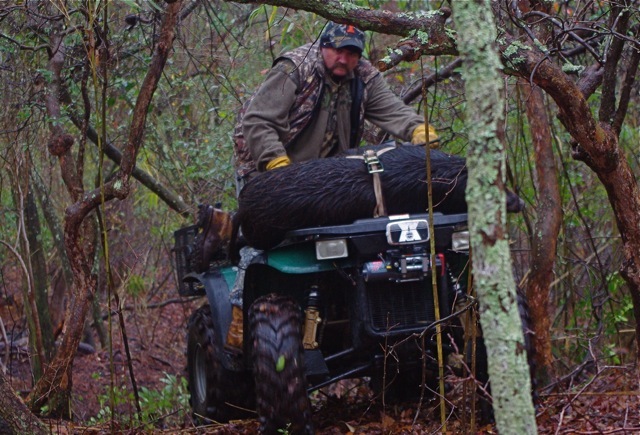 ATV Buggies are used for our Spot-stalk-n-ride hunts. Anyone with physical limitations will find this hunt enjoyable. Creeping down the trails glassing for game in a silent ATV buggy is a fun way to put pork in the freezer. Your harvest will be cleaned and quartered, packed on ice for the trip home. This service, along with everything else you need,is included in the cost your hunt. We do not believe in hidden charges. 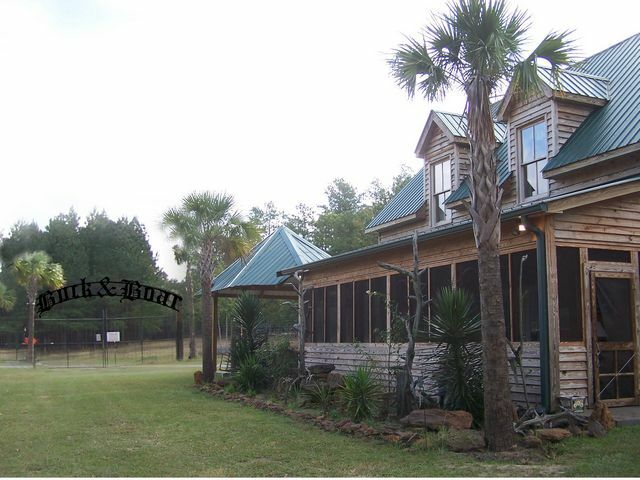 The Buck & Boar lodge sits at the main entrance to the property over looking an eight acre fish pond. The main floor houses a kitchen with a twenty foot long bar, living area with a big screen T.V., full bath, and a thirty foot long screen porch. Up-stairs you'll find sleeping accommodations for ten guests, sitting area and half bath. A private cabin next to the lodge has a screened porch and it's own dock. It will sleep four guests. The lodge and cabin are supported by a B.B.Q. cook house, bow/rifle range (600 yd. ), a cleaning/processing facility, and fish ponds all within walking distance of each other. Building repeat business is our goal. We value our guests and dedicate ourselves to making your experience with us a great one. Our hunts are not the cheapest on the market...it costs a little extra to do things right. You get what you pay for in this business and we will give you our moneys worth. 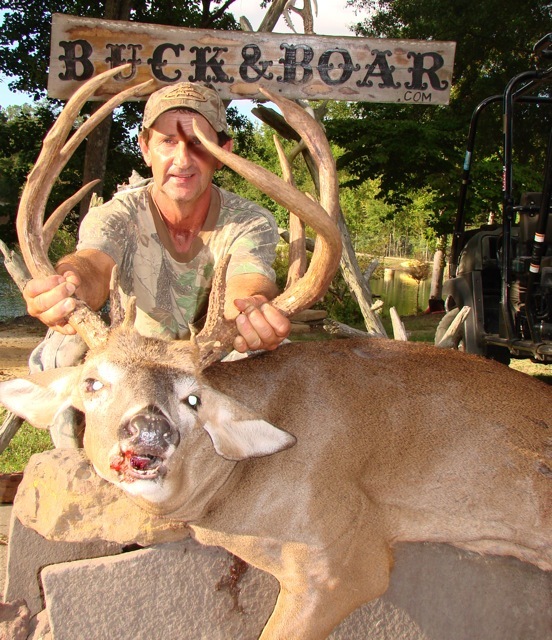 We invite you to plan a hunting trip at the Buck & Boar. Let us show you why over 75% of our guests return for another hunting adventure. 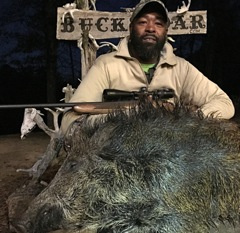 A NEW BUCK AND BOAR RECORD!!! 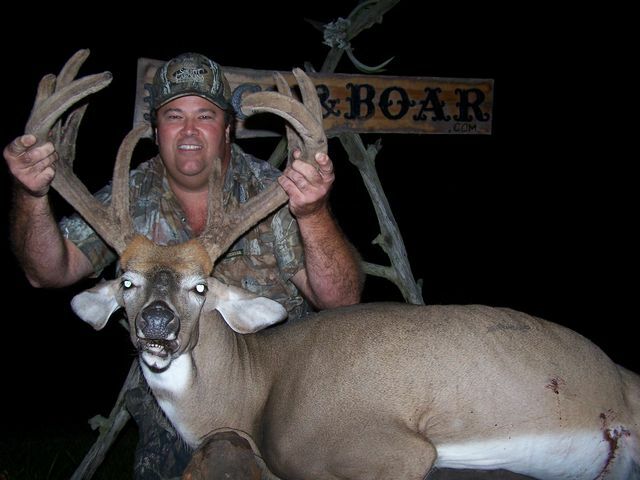 Ron Tillett of Va. harvested this 550lb. European sow on March 31 2009. It is a new record for our lodge. 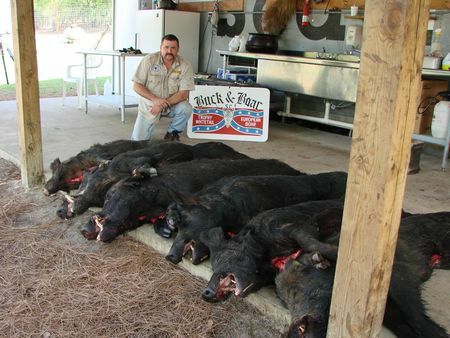 Seven other hogs were harvested that day, three were over 300 lbs , all were over 200 lbs. !!!!! !